A new Survnation poll has revealed that nearly half of all Scots believe the Tories are about to launch a ‘power grab’ on Holyrood, following Brexit. Scottish National Party (SNP) membership figures have swollen since the EU Withdrawal Bill passed in Parliament last month, with a reported 7,500 people joining the party in June. The Tories have argued that of the 153 powers covering devolved areas, 24 must initially be run from Westminster. The Daily Record, who commissioned the survey, published another poll last week, showing that support for the SNP has grown by 38%, with the Tories and Labour lagging in Scotland. A general election could see the Scottish independentist party go from 35 to 39 seats in Westminster. SNP leader and Scottish First Minister Nicola Sturgeon stood as the most popular politician in the paper’s survey with 40%, with Prime Minister Theresa May ranking as 57% “unfavourable”. 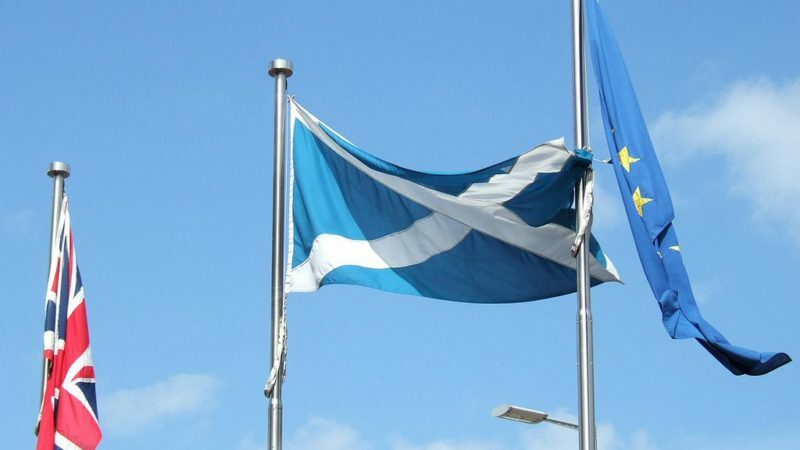 The poll also suggested that support for Scottish independence is back on the rise. The figures are the latest blow to an increasingly precariously positions PM, as Tory infighting and the Cabinet’s Brexit position has meant a slide down ratings for the government across the country.